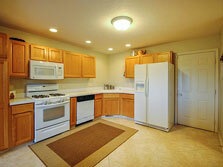 Terrific townhouse style condo in much sought after Meadow Grove. 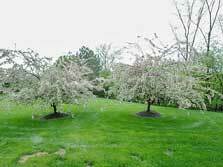 Premium setting backing to trees and lush common areas. 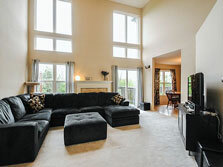 Light-filled attractive floorplan features a Great Room with soaring two story ceiling, fireplace and a wall of windows. Recent updates include new furnace (2015), new hot water heater & humidifier (April 2016) and re-stained deck (2015). 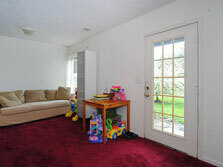 The spacious kitchen/breakfast nook area is open to the dining room with access to the private deck. 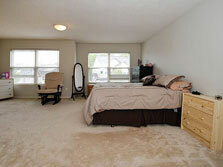 The huge master bedroom has a large dressing area plus attached master bath. The finished walkout lower level adds even more space with family room, informal bedroom/office area and large full bathroom with spa tub. 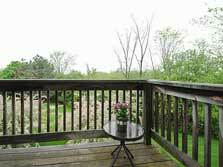 The walkout leads to a patio and the wonderful private setting behind this condo. This popular development has great access to local shops & I-94 freeway and benefits from Ann Arbor schools as well as lower Pittsfield Township taxes.